Copyright © 2009 Eric C. Graff - This image is copyrighted. Unauthorized reproduction prohibited. 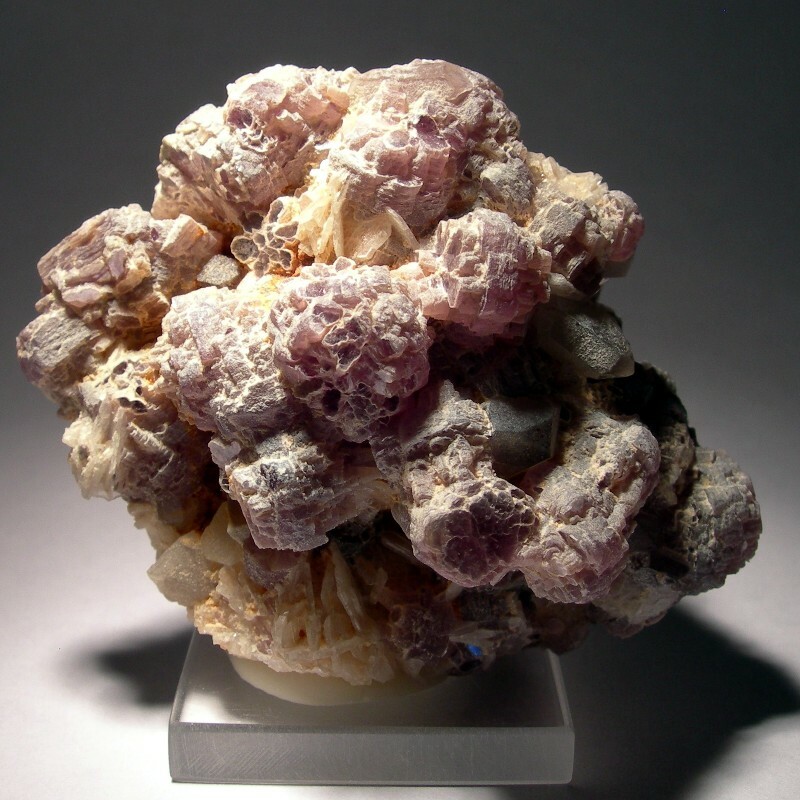 This specimen consists of rosette-like spherical aggregates of lepidolite (each about 1 cm in diameter) associated with several small smoky quartz crystals on a matrix of whitish cleavelandite.